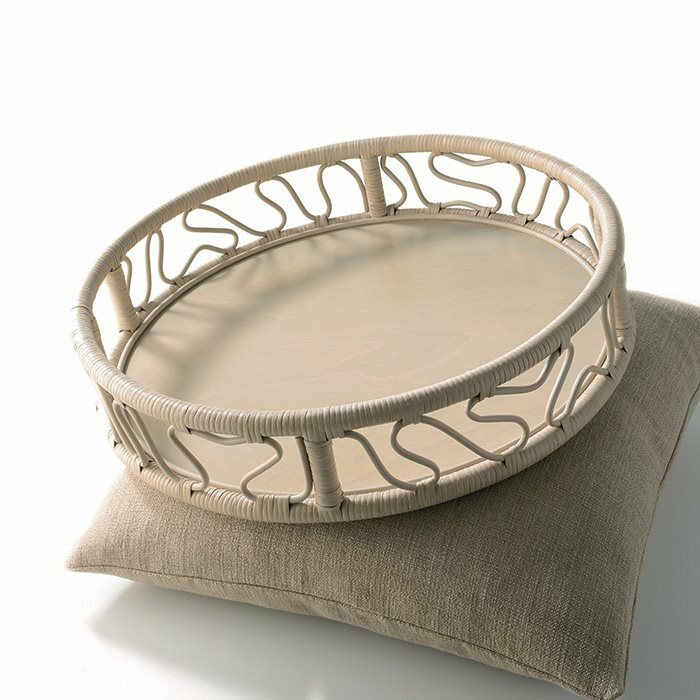 The unique mark of Mattia Bonetti intertwined with the flexibility and elasticity that are typical of this material give birth to a never ending pattern. 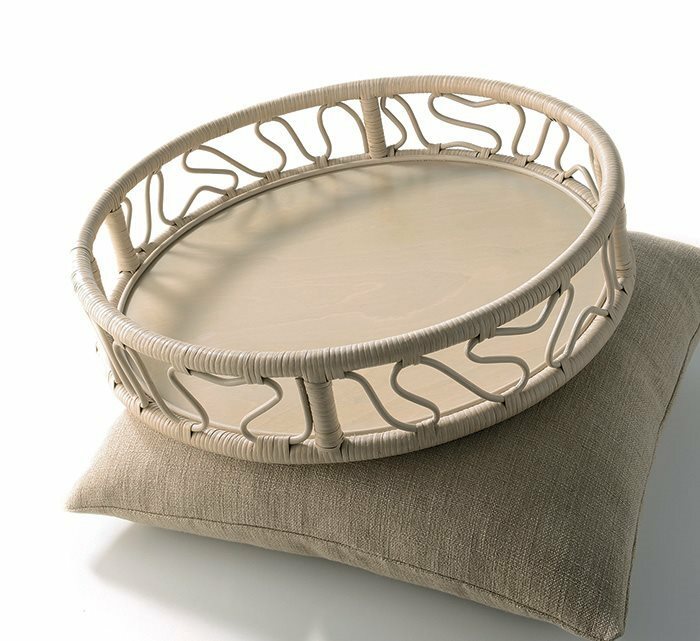 Rattan structure, rattan-core weaving, wooden top. Available in all finishes on the colour card.